Magic Snake Game is nonviolent, peaceful, natural, and classical. 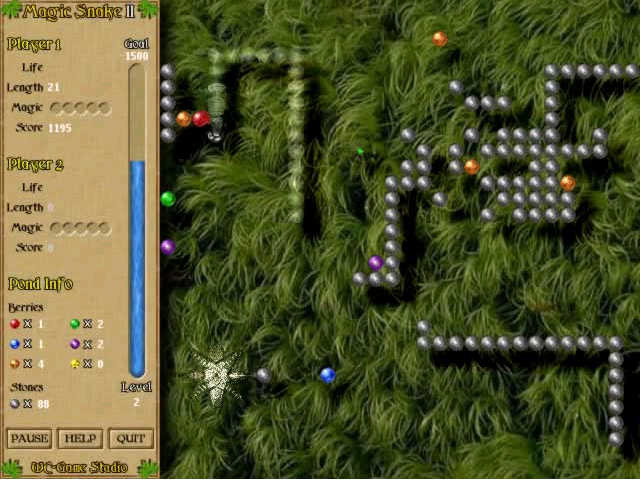 You will enjoy countless hours of fun with playing this excellent remake of the classical snake game. 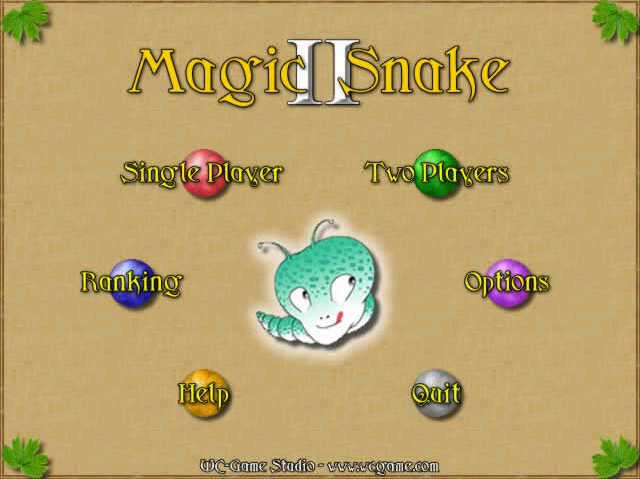 Magic Snake Game II - Feel the real speed with this remake of the classic snake game. Magic Snake Game is a fun, magical, nonviolent, and easy-to-play game. You have to lead the snake to eat the magic berries by avoiding stonewalls and its own tail. Every time the snake eats 5 berries in a row of the same color, something magical happens. Be quick and smart in catching berries. Lead the snake to the right direction and be the winner. Six kinds of cool magic. Great extension to classical snake games by well designed magic system. Nonviolent, Peaceful, Natural and Classical. Possibility to play for players of any age. Natural sound of water, rain, thunders and birds. Multiplayer support (two players at one computer). Easy to control simply by four arrow keys. Pretty look user interface and lovely water snake. Score more points and play more levels. Play together with another player. Get rid of the reminder screens. Get free tech support via e-mail. Get free upgrades to new versions.